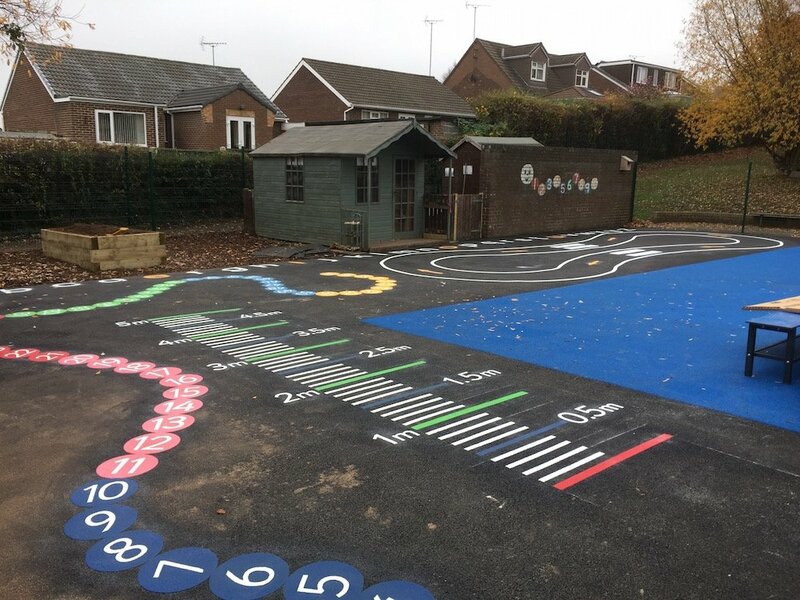 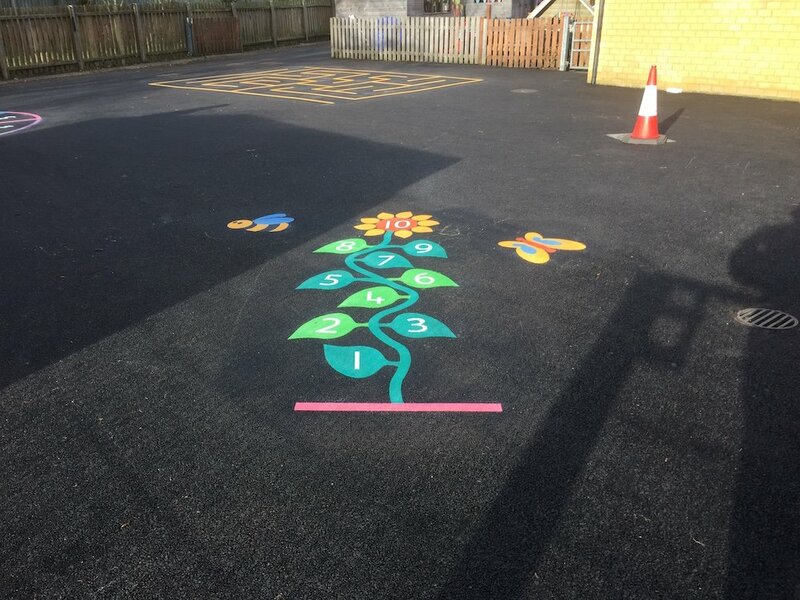 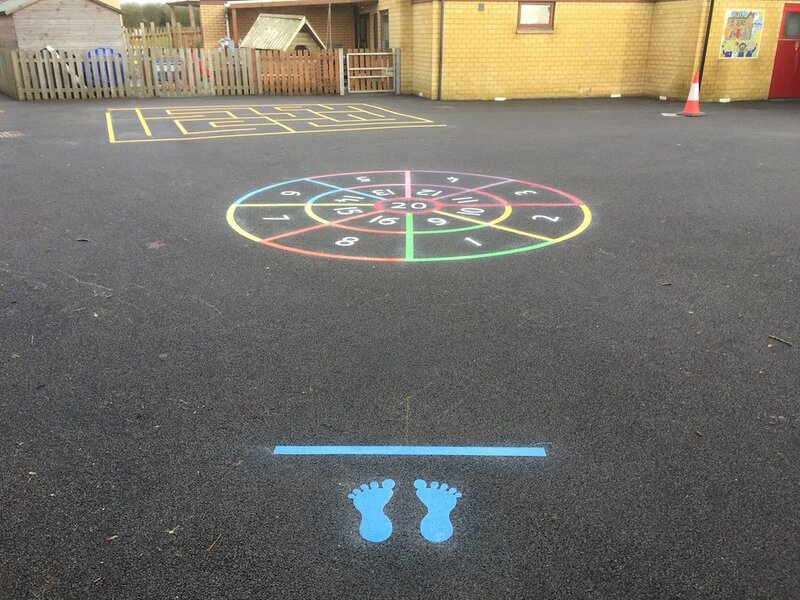 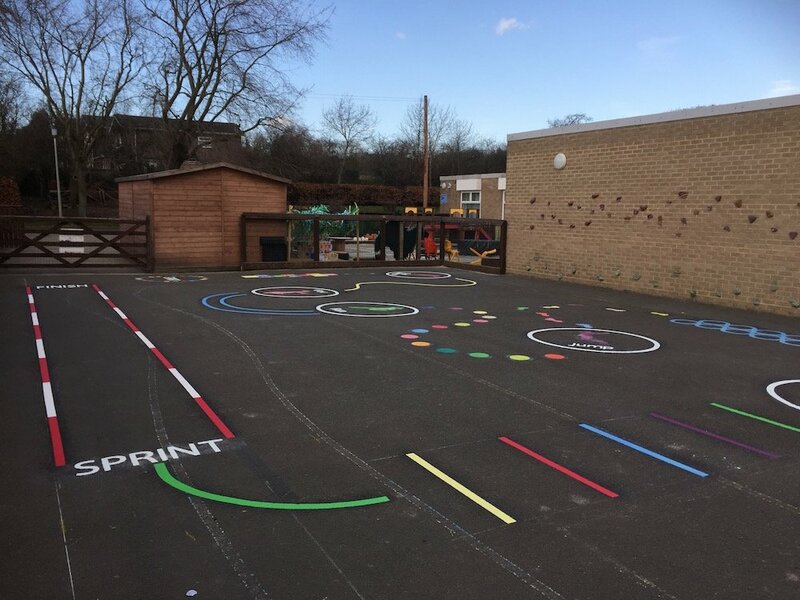 Our install team made the trip to sunny Bedfordshire to brighten up Renfold Primary School’s playground with markings including a colourful Sunflower Hopscotch and a tricky Maze. 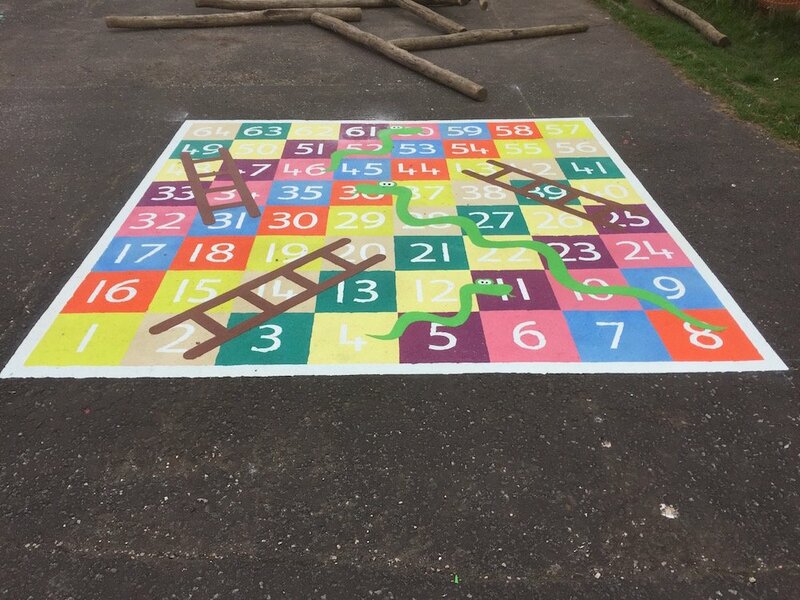 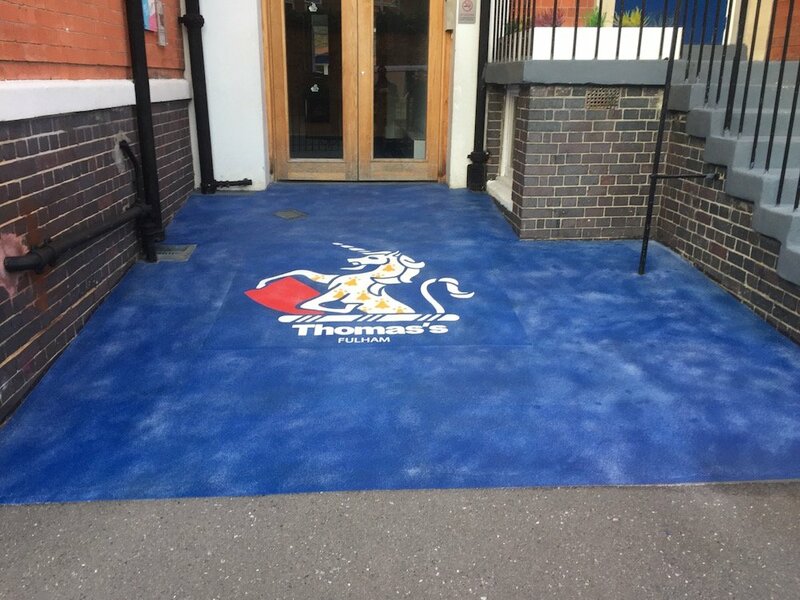 The team began by installing this Sunflower Hopscotch, a colourful twist on our Classic Hopscotch. 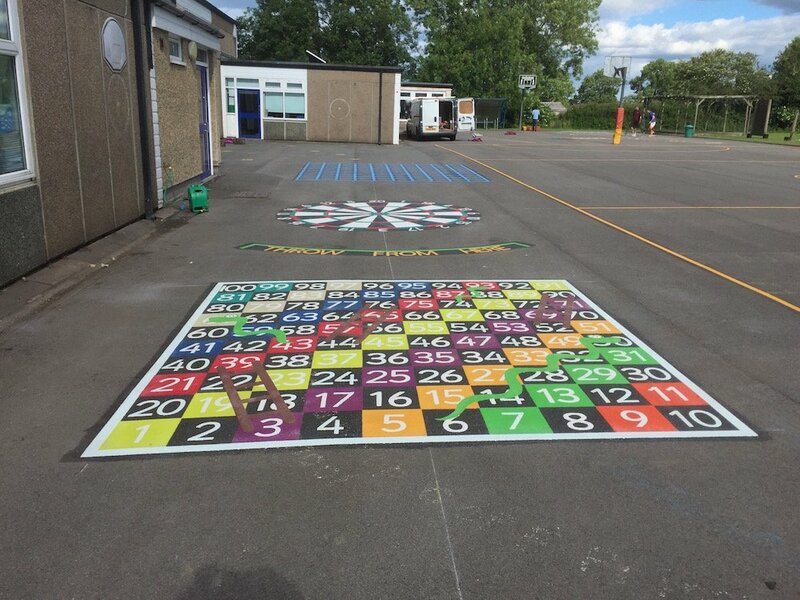 Next the team installed this Target Throw. 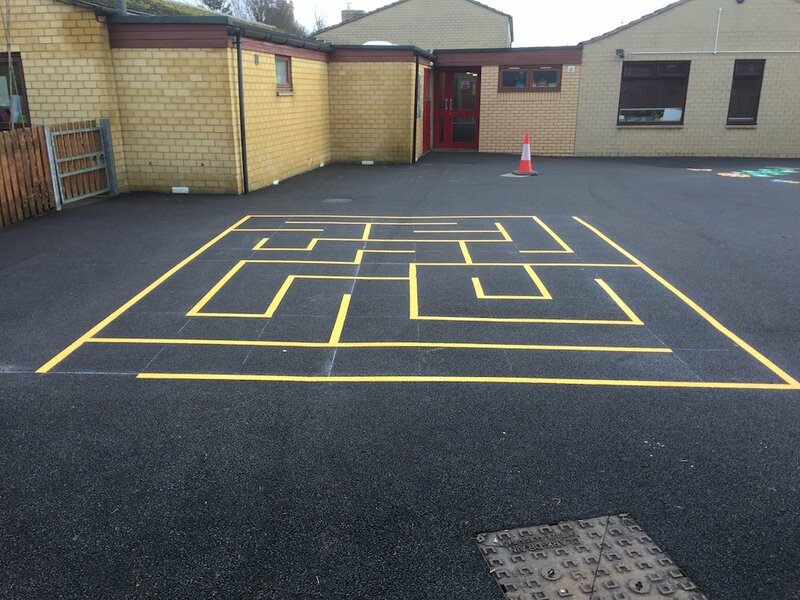 The team finished the install with a Rectangular Maze.